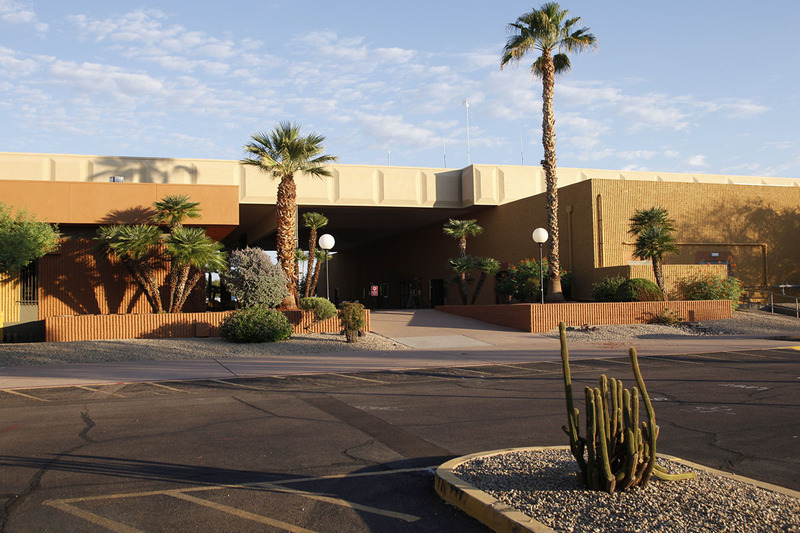 Sundial Recreation Center - Sun City, Arizona - The Original Fun City! Sundial Recreation Center boasts RCSC’s only indoor swimming pools. The exercise pool features an automated chair-lift for Cardholders with special needs and there is a ramp allowing easy access for those with disabilities. Numerous concerts and special events (including the annual RCSC Membership Meeting) are held in Sundial Auditorium, and the center boasts a large contingent of chartered clubs. Sundial Center is also the home of the Sun City Mineral Museum, the finest of its genre in the Valley of the Sun. Operated by the RCSC Rockhound Club, the museum features rocks, minerals and geological specimens, and encourages visitors to check out the Fluorescent Room. Admission is FREE. ** Please Note: Reservations for certain club activities and classes may affect these hours. Contact the Facilities Attendant at the phone number above to confirm open play availability.